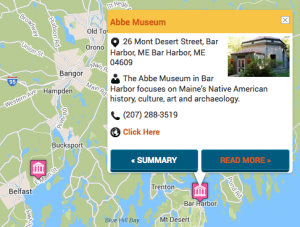 In this first installment of “Finding Maine Maritime Art”, we invite you to explore three southern coastal Maine towns worth visiting, each with major historical and commercial connections with the sea, and today are home to galleries featuring artwork reflective of those connections. It is well known that Maine has an abundance of art, and many artists have been inspired by the natural beauty and picturesque surroundings of the state, using it as a backdrop for their work. 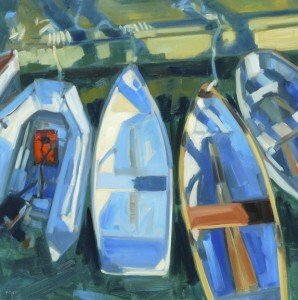 Because of the 3,500 miles of coastline and the significant historical and traditional ties to the sea, it is not surprising that there are maritime themes within much of the artwork that has come out of Maine. Three adjacent towns offer examples of varied local art with a similar theme: Kennebunkport, Kennebunk and Cape Porpoise. So get in the car and get started on your maritime arts road trip! Kennebunkport is a quaint, seaside town with clapboard and shingled buildings that house merchants, restaurants and galleries. In the1880s at the peak of the shipbuilding industry, Kennebunkport was an important town supporting that industry, and the number of sea captains’ homes there is a reminder of that success. Five-mast ships and schooners were built in Kennebunkport, and very often these vessels could be spotted along the Kennebunk River as they made their way out to sea. Today, Kennebunkport is popular with vacationers who are looking for a true New England experience. Just west of Kennebunkport is Kennebunk, a town rich with tradition and history. There are two rivers that run through Kennebunk, lending to the town’s early commercial roots in fishing, the transport of timber, and shipbuilding. Similar to Kennebunkport, there are sea captains’ mansions and quaint streets run through the town, making Kennebunk ideal for strolling around and taking in the beautiful surroundings. Visitors can walk around the historic district and appreciate the well-preserved architecture, and also enjoy the local, small town commerce. The outdoor spaces give way to artists’ inspiration, as evidenced in the area’s art galleries. Cape Porpoise, only a short distance from Kennebunkport and Kennebunk, also has a significant maritime history and traditional New England ambiance. From the early seventeenth century, many small vessels traveled regularly into the harbor of Cape Porpoise, taking advantage of the prime fishing there. Eventually, sawmills began to appear along the rivers of neighboring Kennebunk, and shipbuilding for trade and for lumber export became a primary industry in Cape Porpoise. Visitors now enjoy local art, harbor views, and the Goat Island Lighthouse. Kennebunkport, Kennebunk and Cape Porpoise all have historical and deeply rooted commercial ties to the sea, and it is not surprising that many of the art galleries in these towns feature artwork with maritime themes. 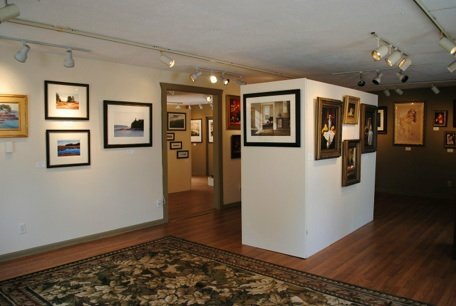 The Landmark Gallery features artwork that captures the richness and beauty of the New England coast. mediums from watercolor to photography. Original paintings and sculpture representing 30 artists on a continual basis can be found at the Maine Art Gallery. The gallery specializes in fine traditional New England art ranging from “super realism” to more cubist interpretations of realism.